These bright jewel colored fraction strip cut-outs are sure to be a hit with your kids! Great for a fraction reference manipulative. 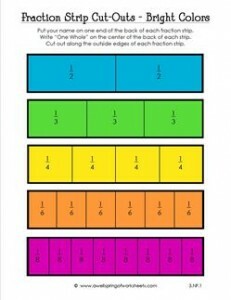 Please go to this page to see all the fraction strip resources in this set.